(Nanowerk News) Researchers at the Technische Universitaet Muenchen (TUM) are showing the way toward low-cost, industrial-scale manufacturing of a new family of electronic devices. A leading example is a gas sensor that could be integrated into food packaging to gauge freshness, or into compact wireless air-quality monitors. New types of solar cells and flexible transistors are also in the works, as well as pressure and temperature sensors that could be built into electronic skin for robotic or bionic applications. All can be made with carbon nanotubes, sprayed like ink onto flexible plastic sheets or other substrates. 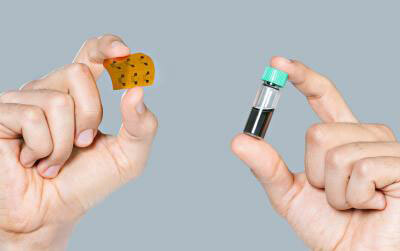 Flexible, high-performance gas sensors (left) were made by spraying a solution of carbon nanotubes (right) onto a plastic backing. Postdoctoral researcher Alaa Abdellah and colleagues at the TUM Institute for Nanoelectronics have demonstrated that high-performance gas sensors can be, in effect, sprayed onto flexible plastic substrates. With that, they may have opened the way to commercial viability for carbon nanotube-based sensors and their applications. “This really is simple, once you know how to do it,” says Prof. Paolo Lugli, director of the institute. Fabrication of carbon nanotube thin films on flexible substrates by spray deposition and transfer printing. Ahmed Abdelhalim, Alaa Abdellah, Giuseppe Scarpa, Paolo Lugli. Carbon, Vol. 61, September 2013, 72-79. Flexible carbon nanotube-based gas sensors fabricated by large-scale spray deposition. Alaa Abdellah, Zubair Ahmad, Philipp Köhler, Florin Loghin, Alexander Weise, Giuseppe Scarpa, Paolo Lugli. IEEE Sensors Journal, Vol. 13 Issue 10, October 2013, 4014-4021. Scalable spray deposition process for high performance carbon nanotube gas sensors. Alaa Abdellah, Ahmed Abdelhalim, Markus Horn, Giuseppe Scarpa, and Paolo Lugli. 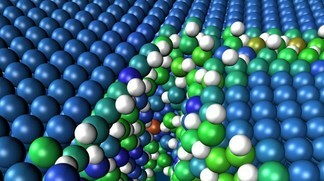 IEEE Transactions on Nanotechnology 12, 174-181, 2013. Futurists are always talking about how flexible electronics will change our lives in amazing ways, but we’ve yet to see anything mind-blowing come to market. A team of scientists from the University of Texas in Austin, however, think they’ve found the key to changing that: ultrafast graphene transistors printed on flexible plastic. Graphene is amazing stuff for a lot different reasons. One reason is that it’s the perfect material for chip-making, and conventional graphene chips have broken several electronic speed records. In the past, however, attempts to put graphene transistors on flexible materials have caused that speed to take a dive. Not with this new method. The graphene transistors are not only speedy but robust. The devices still work after being soaked in water, and they’re flexible enough to be folded up. And things are only getting better. Earlier this week we learned about a cutting edge technique for making graphene chips developed by a team of researchers from the University of California. 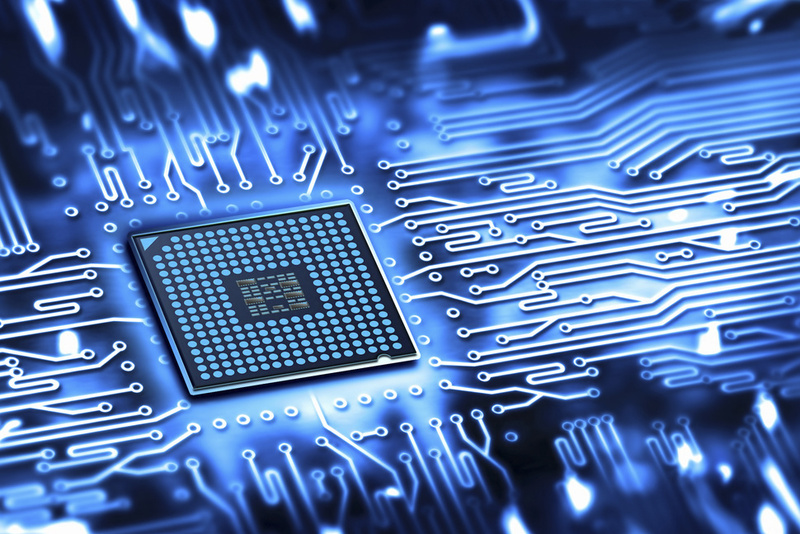 Graphene has the power to change computing forever by making the fastest transistors ever. In theory. We just haven’t figured out how yet. Sound familiar? Fortunately, scientists have just taken a big step closer to making graphene transistors work for real. Graphene transistors aren’t just fast; they’re lightning fast. The speediest one to date clocked in at some 427 GHz. That’s orders of magnitude more than what you can tease out of today’s processors. The problem with graphene transistors, though, is that they aren’t particularly good at turning off. They don’t turn off at all actually, which makes it hard to use them as switches.